Find Castle Pines, CO Homes for sale. View Photos, Maps and MLS Data Now! The community provides great access to DTC, Castle Rock and Colorado Springs. MLS#3160059. Kerrie A. Young (Independent). The community provides great access to DTC, Castle Rock and Colorado Springs. MLS#5173480. Kerrie A. Young (Independent). Climate control throughout the home is controlled via the Ecovent System, which delivers room by room temperature control. MLS#9439804. Keller Williams DTC. Hand select interior finishes with professional designer. MLS#7960802. MB TEAM LASSEN. Castle Pines North - Saying "move-in ready" is a complete understatement... New top of the line Lennox furnace (4 ton 2 stage A/C and hot water heater), New roof, Newly finished basement w/wet bar, powder room and extra storage, Newly refinished hardwood floors, New carpeting, new baseboards, New doors (entire house), Updated laundry room and powder room, New stacked stone around the fireplace, Updated Kitchen with soft-close hinges, Newly remodeled Master bathroom, Newly remodeled/updated kids bath, New windows in master bedroom and bathroom, Newer Lighting and ceiling fans throughout, Finished garage w/lots of storage cabs and workbench, The backyard recently re-landscaped with 4.5” cobblestone, lots of mature trees, stamped concrete patio and a newer deck. MLS#8767245. Resident Realty South Metro. Buyer will meet with professional designer to hand select interior finishes. MLS#1958419. MB TEAM LASSEN. Buffalo Ridge - Visit www.BuffaloRidgeHome.com for full property details! MLS#6799426. Madison & Company Properties. Double French glass doors lead you outside to your private backyard where you can cozy up and enjoy beautiful sunsets all while sitting in front of your stunning outdoor fireplace. MLS#2742858. LIV Sotheby's International Realty. Romar West - Enjoy Daniel’s Park and all that the Colorado outdoors have to offer! MLS#4263603. 8z Real Estate. Castle Pines North - Yes, this appears to be a bit of storybook life & we suggest you snag this “happily ever after,” stat. MLS#2306764. Compass - Denver. Castle Pines North - Easy access to I-25-DTC,Downtown, Park Meadows MLS#4043716. Colorado Premier Properties. Great cul-de-sac location backing to open space and walking distance to community pool. Beautiful lot with mature trees! MLS#5679719. COLDWELL BANKER RESIDENTIAL 24. New A/C & furnace 2018!Close to amenities, shopping, dining, trails, pool, etc! MLS#5581876. RE/MAX Professionals. 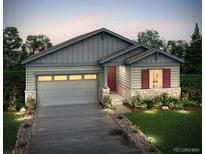 Castle Pines North - Come see before it's gone! MLS#5297759. Weimer Real Estate Inc.
Castle Pines North - Home Theater room, Complete Wet Bar, Large Family Room, Additional Guest Suite w/ Private Bath & Steam Shower, 2 More Bedrooms & Workshop with Separate Entrance!Custom Cabinets in Garage with Hot & Cold Water! Exquisite! MLS#4184926. RE/MAX Alliance. Enjoy Your Covered Deck and this one backs to open space! MLS#3147990. COLDWELL BANKER RESIDENTIAL 24. Additional 2102sf in the basement for room for expansion if needed. MLS#2116234. COLDWELL BANKER RESIDENTIAL 24. There are three additional spacious bedrooms all with private bath access via en-suite or Jack-N-Jill. Corner lot in cul-de-sac MLS#8072331. COLDWELL BANKER RESIDENTIAL 24. “Pick your promotion package available on this home through 11/22/18, visit Welcome Home Center for details” MLS#2920052. COLDWELL BANKER RESIDENTIAL 24. The Hamlet - best location-close to paths , trails, Daniels park, Ridge at Castle Pines golf/restaurant , I-25 Access -10 min to Castle Rock shops-15 min to Park meadows-and DTC. Just move in! MLS#3291278. Realty One Group Premier. Huge, over sized 3 car garage, Douglas County Schools, walking distance to pool, and easy access to shopping and I25! MLS#5809607. LIV Sotheby's International Realty. Castle Pines North - The family room has beautiful high ceiling along with wood beams to give that "wow" factor! MLS#4316951. Brokers Guild Classic. Fenced back yard includes raised flower garden, stamped concrete, covered patio and Trex deck off the kitchen overlooking open space. 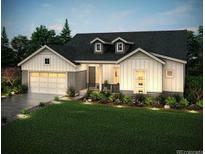 MLS#8446477. Keller Williams DTC. Kitchen features SS appliances, double oven, gas cook-top, eat-in space & pantry*Enjoy the incredible sound system throughout the home w/ the Control 4 home automation system (original cost $65k-all components included)*Secluded master suite with five piece bath & large walk-in closet*Walk-out basement features a great room with a pool table and large entertaining space, 3 bedrooms (1 non-conforming), full bath, & sauna room*Private covered patio w/ hot tub*Be sure to see the virtual tour* MLS#3575663. MB VIELHAUER REALTY INC.
Castle Pines North - SEE OUR VIRTUAL TOUR: http://www.tourfactory.com/2030771 MLS#2981382. RE/MAX Professionals.